Basketball is a high-energy sport. So once the game or practice is over, chances are that you will have some pretty hungry kids on your hands. However, just because the kids have been running around for the last hour, doesn’t mean they should load up on sugary or fatty snacks afterwards. Luckily we’ve found plenty of healthy and delicious snacks that will keep the kids happy and provide their bodies with everything they need to recover. Packing a healthy snack in the kid’s sports bags along with their shoes and basketball uniforms is a great way to ensure they’re getting the energy they need. What should you be looking for in a healthy post-sport snack? On average, a young child that is new to sport will only burn around 400 kj per session - so there’s no real need to refuel with 1400 kj in snacks. The goal of a post-sports snack should be to re-hydrate and replace the nutrients and energy the body has lost through exercise, in a healthy way. In general, a healthy snack is one that is unrefined and includes both protein (e.g. nuts, dairy or seeds) and fibre (e.g. fruits and vegetables). 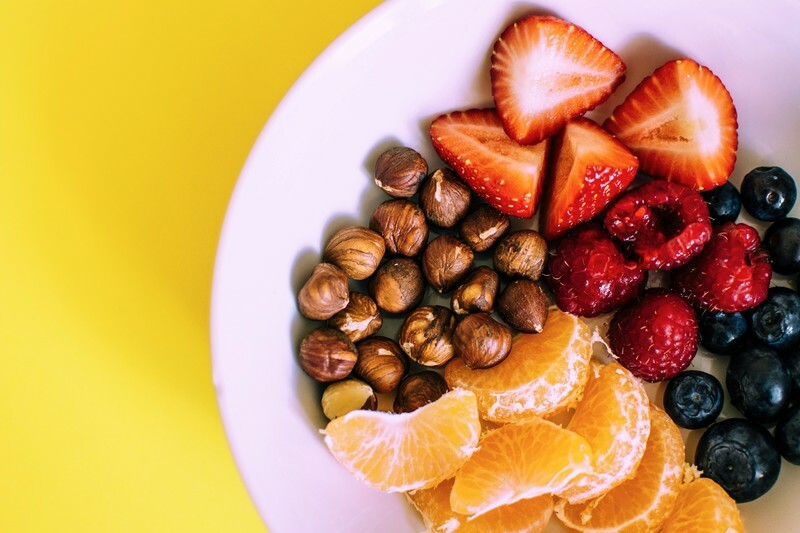 Protein will help repair muscles, whereas fibre is important as it slows the absorption of sugar, allowing the body to replenish energy supplies without sending the kids into a sugar overload. A good post-sport snack should provide everything the body needs to recover without ruining kids’ appetite for the next meal. What are some healthy post-sport snacks? Low-fat chocolate milk: It may not immediately seem like a healthy snack, but chocolate milk is naturally full of carbs, electrolytes and protein – everything the body needs after exercise. It’s also sure to be a hit with the kids! Bananas: Another classic, bananas have the added benefit of being full of potassium, an important mineral lost during exercise. Whole-grain granola bars: Packed with nuts, whole grains and fruit, these are a great option for kids. Sometimes called ‘nature’s candy bars’, any granola bar with less than 7 grams of sugar is a great post-sport option. Hummus and vegetables: Vegetables are a great post-sport snack, however can be a hard sell with children. Adding a healthy dip like hummus makes these much more appealing and are easy to fit into kids lunchboxes and bags. Trail mix: Combine any number of different seeds, nuts, whole grain cereals, and dried fruits (such as raisins) to make this protein and fibre rich snack. Add in pretzels and tiny choc-chips if you really want to win the kids over. Greek yogurt and berries: The yoghurt is a great source of protein but also contains natural probiotics, which can help with nutrient absorption. Adding berries is a delicious way to add fibre and vitamins to this snack. WATER: Don’t forget to include the most important drink of them all to help your budding basketball stars rehydrate! In general, little kids do not need to snack at all after sport, as their bodies are very good at regulating hunger – waiting for the next meal will be fine in most cases.Whether or not a snack is needed, or how much they will need to eat will depend on how hard the kids have played. As kids grow older and the intensity of their exercise increases, refuelling their growing bodies becomes more important. Following some of the tips above can help to teach kids how to do this in a healthy way.